Planning a wedding doesn’t always have to be stressful. However, a bit of caution is required when planning out a budget for your floral arrangements. Having researched your ideas on social media and wedding magazines galore it’s very easy to have your heart set on an elaborate arrangement and simply get carried away. The stress factor comes in when the budgeting gets a bit weary. Use the following pointers to stay clear of the most common mistakes couples make when budgeting for their wedding and keep the stress at bay. A good wedding florist will be the best person to advise you on which arrangement of your choice is the most practical. While magazine style set ups and social media photos of weddings in the tropics may look glamorous, they are not always the easiest nor the most practical to replicate. Be open to work with your florist to use aspects of your inspiration to come up with a workable idea that might just even be better that you actually pictured. Your ideas should ideally be a springboard from which your florist takes direction to make up an affordable arrangement. For some couples flowers may not be a priority and they could have ideas about other options such as candles and other non-floral items they’d like to use at the reception and church. Or for those who are keen on flowers, your florist could suggest using a variety you’re not too familiar with. Either way listen to all the ideas first and even have your florist do a mock-up. In some instances certain flowers would be better at softening a particular space than others or just candles could be a bit harsh without the softness of a few minimal flowers. Trust your florists he or she would be able to guide you towards the best look. Sometimes from the perspective of a florist – it becomes difficult to put forward their best work when a couple is not open-minded to types of blooms and the use of colour through the blooms. In such instances the florists work could be dismissed as dull and boring but that could be owing to the limitations a couple sets from the inception. Many times couples are exposed to a set a palette of prescribed wedding centric tones and rarely dare to be different and set a tone for themselves that speaks for their style and individuality as a couple. Talented florists would be capable of indicating a rare bloom that is in season during your wedding month. The more flexibility and openness you prescribe will yield the best outcome from your florist. This next tip is a common perception amongst young enthusiastic couples who believe that every corner and nook needs to be filled with flowers. Trust your experienced wedding florist to know best. Once the crowds start filling in you won’t realize and the guests themselves won’t realize the delicate work that has gone into fill those spaces. The concept of flowers everywhere can cost you much more than what you initially thought of spending. 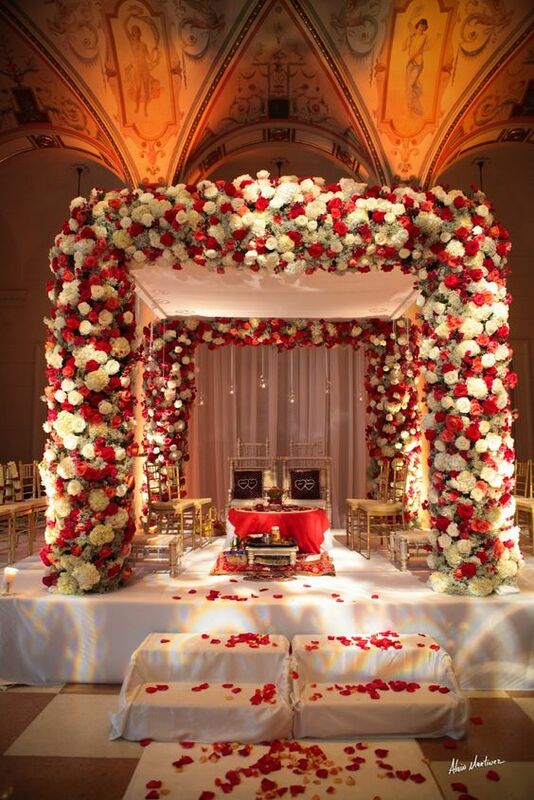 Instead work with your florist to create just one gorgeous unforgettable statement piece for your wedding. A touch of candles here and there can really bring out the colour, vibe and mood that you’re looking for without any additional costs. In general keep an open mind and be flexible to change. A wedding is an incredibly special day for a couple, however there is still a life to start-on afterwards, for which some left over-money from your budget would be helpful to set you on your way.